With its rugged coastline, turquoise shores and year-round sunshine, it’s no wonder the island of Cyprus is a firm favourite with us Brits. Posing an ideal destination for beach-breakers and culture vultures alike – Cyprus’ pretty coves, traditional villages and beach resorts are all just waiting to be discovered. Here we have rounded up the top 10 spots on the island, and why we think they should earn a well-deserved place on your travel bucket list. Sitting on the west coast of the island, the ancient city of Paphos boasts magnificent views and an even more magnificent history. Inhabited since the Neolithic period, the city hides fossils and secrets as old as time. 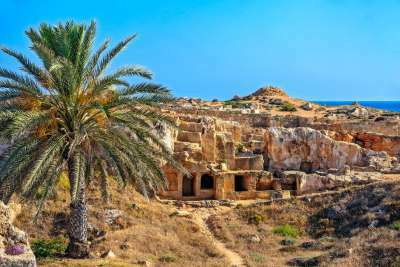 Paphos is said to be the birth place of the cult goddess of love, beauty and pleasure, Aphrodite, after she rose from the sea and landed at the site of the Cypriot city. Living up to its extraordinary history, Paphos provides an incredibly romantic escape, thanks to its secluded coves and golden sunsets. Renowned for its party atmosphere, the lively resort of Ayia Napa has earnt its place as one of the Europe’s favourite clubbing haunts. However, there is a side to Ayia Napa that is hidden by its party façade. The stunning national park of Cape Greco offers lush green vistas, bordered by rugged cliffs and hidden caves, where you will find the promised turquoise waters. The glass like surface of the sea, acts as a window to another world, where warm waters await visitors and reefs come to life. Riding off the back of Ayia Napa’s success, Protaras boasts all the things that make the clubbing hub a naturally obvious place to visit, but without the party reputation. With similarly beautiful beaches and turquoise coves, Protaras has established itself as one of Cyprus’ premier holiday destinations, providing a family friendly and sophisticated escape. 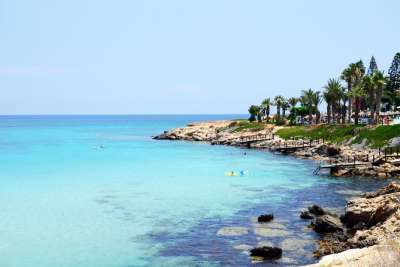 The resort is also home to Fig Tree Bay, widely regarded as one of the island’s best beaches. What more could you possibly want? 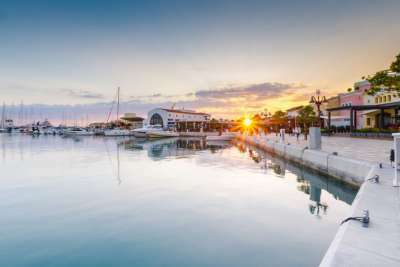 Lined by a palm tree promenade, the town of Larnaca is a popular resort with tourists, thanks to its busy marina and sandy beaches. Here you will find seafront hotels and a thriving old town filled with classic Cypriot restaurants. 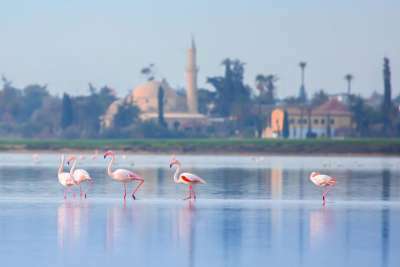 And if that wasn’t enough to convince you to visit, the town borders a Salt Lake where pink flamingos majestically graze, and the Hala Sultan Mosque stands proudly above the phenomenal oasis lake. 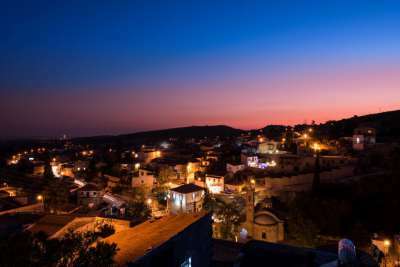 Home to the medieval castles of Limassol and Kolossi the resort of Limassol sits on the southern coast of the island and boasts turquoise shores paired with a bustling atmosphere. One of the busier tourist towns, Limassol boasts beaches lined with modern hotels, offering incredible views of the Mediterranean. The town’s new marina is certainly a highlight - with sophisticated eateries and Venetian style properties, appearing to float on water - this resort is a firm favourite and the island’s new hub of fashion. Not far from Paphos sits the pretty village of Chloraka, a quiet resort on the coast, providing a secluded escape. Perfect for those looking to avoid the crowd, the village is snuggled in a quiet valley, which leads out to the sea and acts as a natural balcony to offer spectacular views of the sparkling Mediterranean. Filled with private villas and hotels overlooking quiet coves, Chloraka is certainly the spot for you if you are looking for a chilled holiday off the beaten track. Centred around a picturesque blue flag beach, the quiet resort of Pernera offers a relaxed Cypriot getaway. Louma Beach is a frequented cove, loved by tourists and locals alike. The bay has been constructed to form a crescent shape, creating still and warm waters, which are ideal for little ones and their entourages. Pernera provides a glorious spot for a family holiday in Cyprus, and with a plethora of hotels and accommodation to choose from, you’ll never be too far from getting Louma’s sand between your toes. Now this is one for the party people… Despite being located in Ayia Napa, Nissi beach is most certainly a destination in its own right. Its fine white sands, crystal-clear water and aquamarine shore all play a part in the allure of this resort. 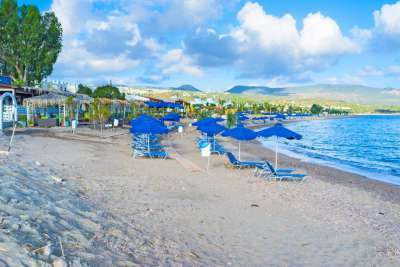 This is Cyprus’ real slice of paradise, therefore if you visit during the summer, you’ll need to expect a real shindig. Beach parties are hosted by world class DJs, who blast summer tunes from dawn 'til dusk and beyond. If you are looking for a good time, this is the resort for you. A quiet fishing village on the west coast of Cyprus, Polis offers a serene alternative to the island’s more popular resorts. Far away from the clubbing sounds of Ayia Napa, this Cypriot secret is one that locals want to keep quiet. The vast golden beach stretching along the resort offers uninterrupted and unspoiled sands, where you can relax on a sun lounger without the hordes of people you may find elsewhere. 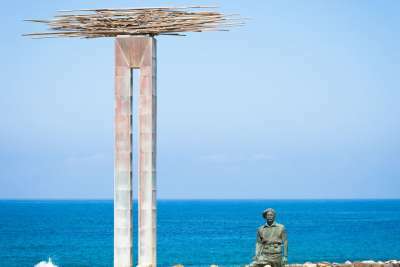 Boasting family-run restaurants and a tranquil atmosphere, the town thrives off the few well-informed tourists who head there each summer to experience a real, authentic Cyprus. The photogenic village of Tochni is one of our favourites. 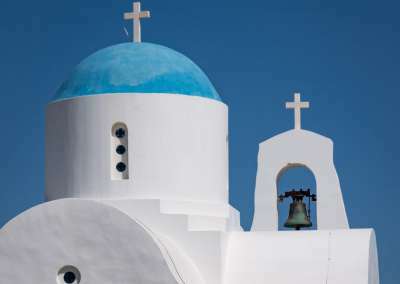 While it doesn’t boast the sea views that the island is famed for, this rural spot offers stunning historic architecture, lush landscaped gardens and colourful doors and windows, which accentuate the azure blue of the resident pools. Ideal for the yoga-lovers and Instagrammers among us, this countryside village, high up in the hills of Cyprus, will beguile you and make you never want to leave.